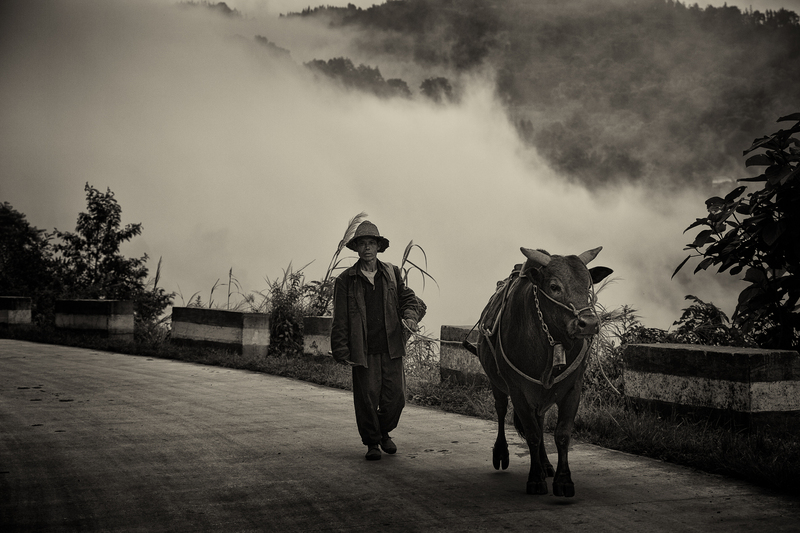 Like old friends they walked down the mountain road, a man and his helper, friends after years of long lonely walks, man and bull finding a common language, because that is what happens when closeness heralds warmth between planetary beings. Oh yes, I had not noticed that going on! I love this image. It gives such a clear indication of place. It has a cinematic beauty to it that tells a story. Journeys of the spirit. Excellent work Mimo. Thank you for your detailed comment Mobius! I always appreciate your reflections! Love the angle you chose for this shot. The road disappears almost right into what appears to be a fog. Nice indeed.